A gameplay loop you can't refuse. Judging from what we’ve seen of Take-Two’s Mafia III, there might be several similarities between the upcoming open-world shooter and Electronic Arts’s 2006 adaptation of The Godfather. If the October 7 title can capture one-tenth the enjoyment of The Godfather’s non-mission gameplay loop, that’d be a big win. The Godfather follows a player-created character who operates between the gutters of Francis Ford Coppola’s iconic film. Who drove Vito to the hospital and planted the gun in the toilet at the Italian restaurant? You did, as one of the Corleone family’s most trusted (and unsung) capos. Between these story missions, though, players spend most of their time working their way up and down the blocks of New York City’s boroughs in a shop-by-shop takeover of the city. By and large, the majority of your time in The Godfather is spent ousting mob-backed tenants from dozens of hotels, barber shops, warehouses, and mafia compounds. The street warfare of The Godfather made for an explosive, unpredictable good time that the third installment in Take-Two’s storied Mafia series could certainly learn a thing or two from. 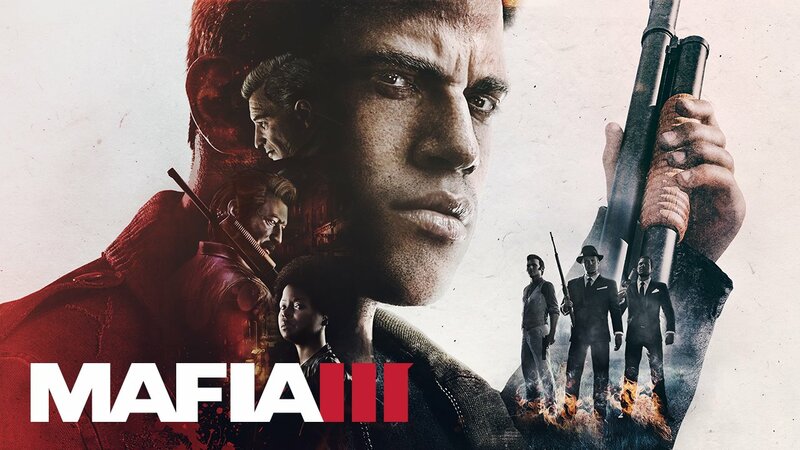 We’ve been told that Mafia III’s protagonist, Lincoln Clay, will spend at least part of his time traveling around New Bordeaux wreaking havoc on mafia installations scattered through the New Orleans-inspired city. Here’s hoping that Take-Two can take a note from The Godfather and give us a bunch of places to extort or destroy. It’d be too bad if these business takeovers were limited to a few story-based set pieces as opposed to the chaotic exercises they were in The Godfather. In its first two iterations, the Mafia games have delivered engrossing, years-long epics of such high quality that the series has remained near and dear in spite of the franchise’s open world being empty of distractions outside story-based missions. Now that the series appears to be populating its world with a few more distractions and a lot more violence, there’s concern that the main story will suffer. It doesn’t have to be that way, though. The Godfather is actually a fairly solid example of blending a boatload of activities with a solid story. It manages to hew closely to the original Oscar-winning film while still injecting a healthy dose of intense triple-A combat. Take-Two has proven they can blend addictive gameplay with a great story (see: Take-Two owned Grand Theft Auto V from Rockstar Games), so it’s not a stretch to believe that just because the studio is building a more complete playground that the overall story arc will suffer. We’ve seen some brutal animations featured in Mafia III, but let’s hope the hand-to-hand interaction in the title isn’t limited to these one-off scenarios. The Godfather implemented a fully realized hand-to-hand combat mechanic that worked almost exactly like the studio’s Fight Night series of boxing games. Used creatively, it gave the violence a little bit of variation in the ongoing street war. Take-Two has already said that they’re planning on providing some unique outfits post-release among a slew of other free DLC, but that’s no indication of how much customization will be available to players when Mafia III releases. It’s a small touch, but the option to switch up your costume in-game really adds a level of personal connection that can’t be understated. That’s a big part of the longterm appeal of The Godfather, which allowed its players the opportunity to switch their character up at will and gave them access to an extensive variety of clothing options. In Mafia II, there are really only a handful of weapons for the player to use: a couple of handguns, a rifle or two, and a machine gun. For Lincoln Clay’s assault on the mob, it’d be great to see them drop 12 to 15 weapons of varying shape and size with which to combat the mafias hold on the city. Also, something RPG-esque in the way of customization would be neat, too. Just make a note of that, please, Take-Two. One of The Godfather’s most glaring drawbacks was the simplicity of the game’s floor plans and the sparse selection of enemies. From shop to shop, there was one of four possible floor plans and the larger operations run by each family were identical. In addition, the various soldiers guarding each business were divided into one of two classes and distinguished only by the color of coats they wore. In Mafia III, if we’re going to be taking down businesses, it’d be nice to see Take-Two mix things up and provide several different enemy types to confront in battle.